*Goldilocks and the Three Bears, in case you couldn't quite place it. I don't know about you but, I'm fussy when it comes to what I sleep on. It's not that I have expensive tastes, more that I know what I like and my entire night's sleep can be made or ruined by a pillow that's not quite right: too firm and I'll likely end up with a headache. Head to your nearest bed store and they'll analyse your sleeping position before telling you which mattress is right for you. So, why don't we do that for our children, especially considering how much of their early life they spend asleep? 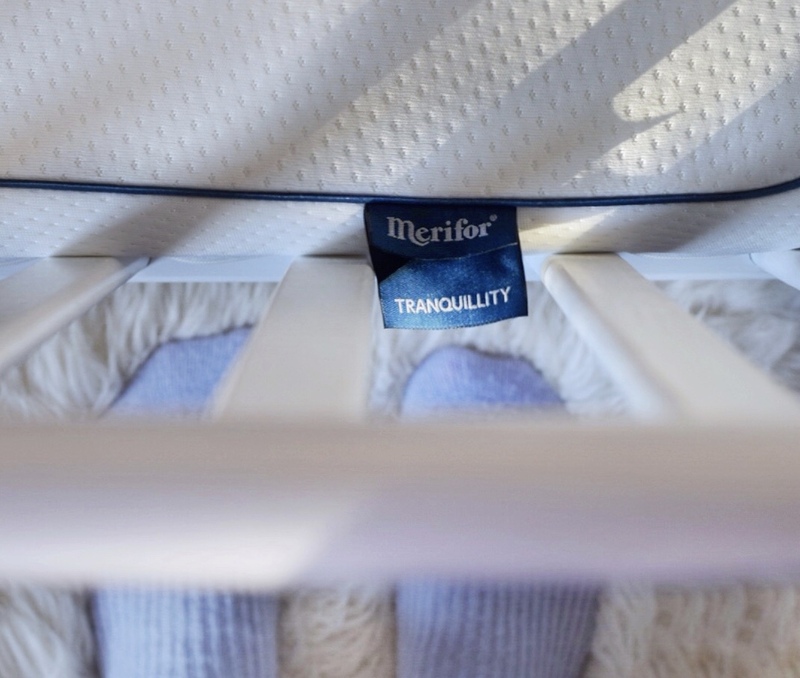 Our youngest is a total sleep thief so, although he was already in a cotbed, when we were offered the chance to review a Merifor mattress, I jumped at the opportunity wondering whether it would be the one to solve all our sleep dilemmas. Having said that, he already had a nice enough mattress so, I wasn't sure how it would be better. 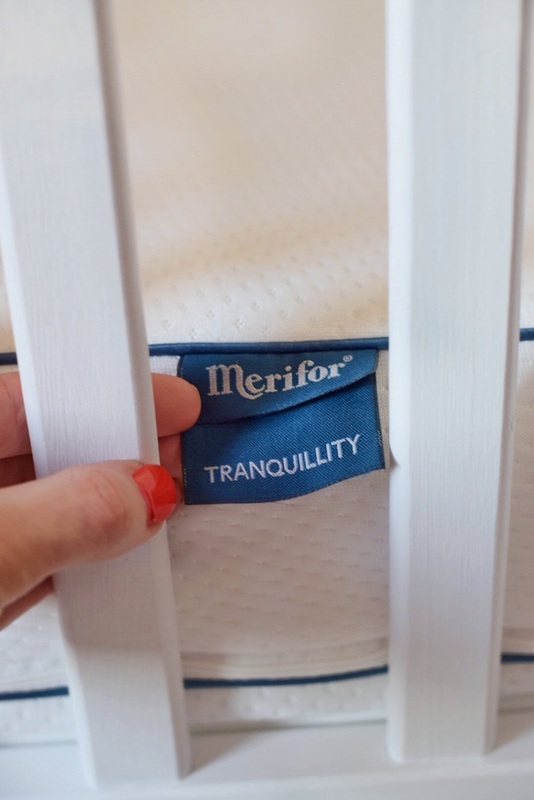 I opted for the Tranquillity mattress and it was immediately obvious: the quality of it is so much better than what we already had and I found myself wishing Merifor did an adult version! It even arrived in style, in a protective box that made you realise Merifor really care about what your child sleeps on. I popped it in his cot ready for his afternoon nap, held my breathe and waited for him to have his usual brief snooze but he slept like...a baby. Now, I'm not saying it solved all our sleep woes just like that - he's slept through the night a handful of times and there are lots of other reasons for that...colic being the main culprit - but his sleep has genuinely improved since we switched his mattress and he is clearly so much more comfortable and content to settle and snuggle in. 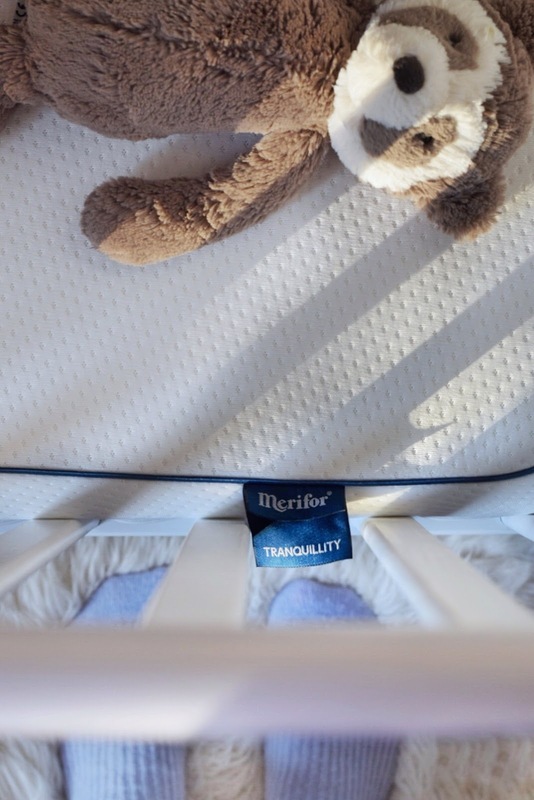 It's got a luxury twin interior mattress with memory foam and micro pocket springs - you flip sides depending on the weight of your baby so it's incredibly supportive as they grow. The outer cover is removable and washable - we all know how useful that is, don't we?! - and it's heat regulating, moisture wicking, breathable and anti-allergy. The inner is sealed and waterproof - I don't need to say much about how great that is really, do I? It's a Loved By Parents and Made For Mums award winner and it comes with a 4 year guarantee. I honestly think this mattress is brilliant and I'm so thrilled to have had the chance to review it. I only wish I knew about Merifor with our firstborn as the Tranquillity is in a league of it's own and I feel so much happier knowing our baby is sleeping on something of such great quality. I'd have been just as positive even if we weren't kindly gifted it. Now, Merifor, if you can just develop your range for toddler bed size I'd be ordering one today.